Love books but don’t have the time to sit down with one? Check out this Beginner’s Guide to Audible, plus 15 audiobooks you HAVE to listen to! When we were children we begged our parents to tell us stories, we asked for tales that would take us to different worlds, places that developed our imaginations and turn us into dreamers. We grew up listening to stories of magic tree houses, goblins in castles, and islands filled with ponies and blue dolphins. By the time my generation became familiar with “the boy who lived” stories were no longer being told, but rather read on our own. A few years ago, I found myself yearning for the comfort of being told a story. So I started using Audible and listening to audiobooks like it was going out of style. There’s just something about falling into another world without having to think about it, where someone just narrates it to you so you can dive into foreign lands you won’t find on a map or visit Paris for the afternoon! When I first started using Audible, Matt and I were commuting together to work, spending an hour and a half in the car each day. Audible provided us with entertainment along the way, and we loved listening to books together, as well as books apart, discussing each one like an old friend. With the crazy lives we lead, it’s hard to sit down and actually read a book these days, but Audible has allowed me to stay up on my reading list and indulge in the amazing stories books provide. I love that I can work and drive while Felicia Day or Wil Wheaton reads a book to me! I can edit photos of Iceland while exploring Westeros, I can be 36,000 feet up in the clouds while I’m Ten Thousand Leagues Under the Sea, I can be sitting on my couch and passing through time traveling stones to 18th century, or I can be driving in the highlands of Scotland well listening to a man bare his heart in the mines of Mars. Being told a story is something that never gets old and Audible provides an unmatched library of audiobooks narrated by the very best! To say Audible has been a saving grace during days at home, in airports, and abroad would be an understatement. 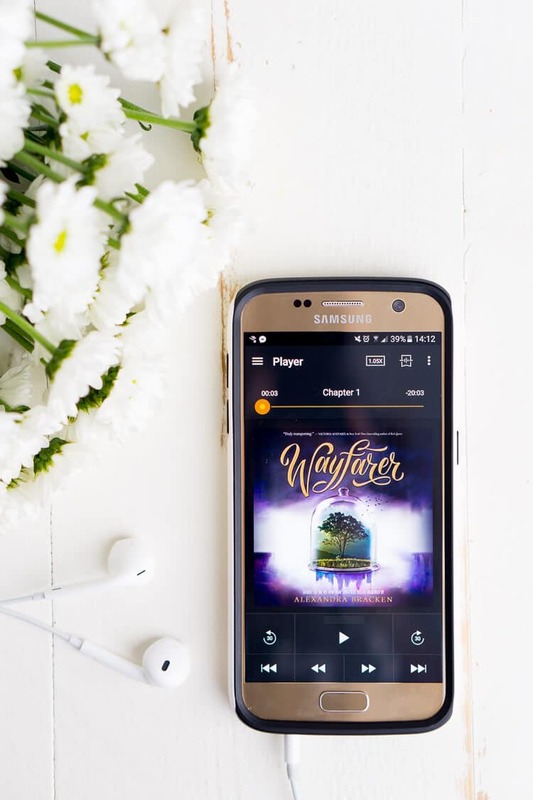 So, if you think you’re ready to dive into an audiobook and be swept away in a story, follow this Beginner’s Guide to Audible and get your first book FREE! 1. Sign up for a FREE 30-day trial: Ready to learn, be inspired, and indulge in a good book? Sign Up and download the app on your phone for easy listening, plus you’ll get your first book FREE! Sign Up for Audible Now! 2. 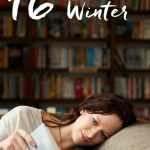 Listen to your first book: My advice for picking your first book, pick a long and expensive one to get the most bang for your buck! Most of the world has read the Harry Potter Series, but have you listened to it? These are great books to start with because they’re long, exciting, and narrated by Jim Dale who is likely one of the most brilliant narrators out there. Seriously, his voice is pure magic. 3. If you love it, select a membership plan: Audible offers a few different membership plans that you can choose from to best suit your needs. Keep in mind that you can change or cancel your membership at any time, no questions asked. AudibleListener® Gold: $14.95 per month – 1 credit – Roll over up to 6 credits. AudibleListener® Platinum: $22.95 per month – 2 credits – Roll over up to 12 credits. I have had the Platinum membership since I joined back in 2014. I love when my credits show up in my account at the end of each month, sometimes I let them build up so when I find a series I really love I can buy the whole thing at once! With the Platinum membership, each book costs less than a hardcover and usually about the same as an ebook. Plus, as a member, you save 30% off the price of any audiobooks you purchase without credits. 4. Discover great audiobooks: If you already have a favorite author or genre, Audible’s shop is easy to navigate and search by both of those things as well as title and narrator. Audible also suggests new books for your based on your previous listens, making finding your next adventure even easier. 5. Exclusive membership sales: About once a month Audible runs a sale, usually, it’s something like 2 audiobooks for one credit or a selection of books being offered for $4.95 each, but I highly recommend you check these sales out when you happen! However, make sure you DO NOT use your credits on a sale that makes the book’s value less than what you paid for the credit. You might be thinking that probably only the boring, less popular books go on sale, but that is not the case. I’ve listened to some of my favorite books because they were on sale and I couldn’t resist a good deal! 6. Hate an audiobook? Return it! : Yep, that’s right, Audible allows you to return books, even after you’ve listened to them. That doesn’t mean you can just keep listening to and returning books all the time, it means that if you truly didn’t like a book or decided maybe you just didn’t feel like reading it, you can return it and get your credit/money back! I’ve done this a few times and it’s one of the reasons I love Audible so much. You can do it on your own with the click of a button, no need to contact customer service! But again, don’t abuse the privilege! 7. Daily Deals: Every day Audible features a book for their Daily Deal, sometimes the book is a recent release and sometimes it’s a classic. But keep an eye out, you never know when you might score a good listed for just a couple of bucks, but again, don’t use up your credits on these. 8. You own your audiobooks: If at some point you decide to cancel your Audible Membership, whether it’s a month or three years, all of the books you’ve purchased through your account belong to you! 9. Whispersync: Are you ready to have your mind blown? Since Audible is a property of Amazon, you can purchase Whispersync books through Amazon, meaning you get the Kindle version and the Audible version of the book. But here’s where things get awesome, so say you’re reading on your Kindle and you’re completely absorbed in a great book, but you have to get up and go somewhere, start listening to the audiobook and it will pick up where you left off on you Kindle and vice versa, no reason to stop the magic because your life is busy! 10. Just need a break, put your account on hold: If you just want to take a few months off from recurring payments and new credits, contact Audible’s customer service to put your account on hold. You can still enjoy your membership pricing and special member sales while your account is on hold. This is great if you’ve hit your max limit for roll over credits and need some time to get through them. 11. 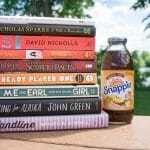 AudibleChannels: Recently, Audible started offering more than books! News, education, TED Talks, comedy, lifehacks. There’s a channel for all of them and more on Audible! A great option for all you podcast addicts! Plus this new feature is completely free to use if you’re an Amazon Prime member! 12. Moving too slow? Speed it up: One of my favorite features on Audible is that you can set the pace. If a book is really drawn out and you feel like the narrator is dragging on every word, you can speed it up! 13. Download in advance: If you’re planning on listening while on the road or outside wifi, make sure to select and download your books ahead of time. Once downloaded, no data is used for listening purposes. 14. Make some room: If your phone needs more storage or you just want to clean up your Audible library, you can remove books you’ve finished from your device. Don’t worry, the books are still in your Audible library, they’re just not taking up room on your phone anymore. So, are you ready to get started? Sign up for your 30-day trial and get your first book FREE! 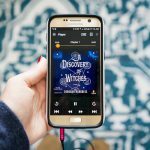 Here are a few of my favorite audiobooks that I think are worth starting off with! 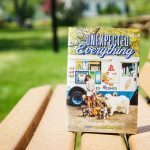 Check out my other book lists!